Salmon has been ​canned in Europe since 1830 and in North American since the 1840s. Fish cakes or burgers made with canned salmon were undoubtedly not far behind. Although most of us now have access to fresh salmon year-round, canned salmon cannot be beaten as a source of non-dairy calcium. The calcium-rich bones are left in the salmon during the canning process, and they are edible. You probably won’t notice them at all! 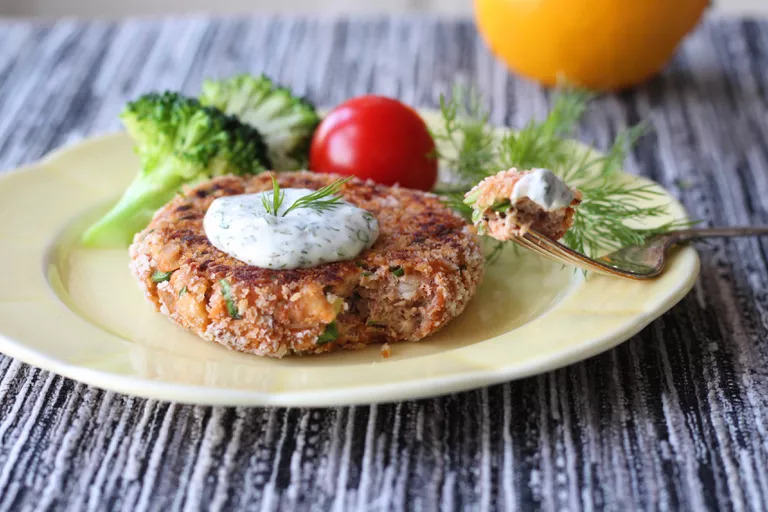 We have revived the humble salmon cake, with oatmeal as a low FODMAP binder, accompanied by a simple and delicious lemon-dill aioli. For the aioli, in a small bowl, stir together the mayonnaise, garlic-infused oil, fresh lemon juice, and chopped dill. Cover and chill until just before serving. For the fish cakes, lightly mash the salmon and bones in a large mixing bowl. Stir in the egg, celery, scallion greens, oats, tomato paste, and black pepper. Cover and chill for about an hour to hydrate and soften the oatmeal. Using your hands, form the mixture into 6 patties and dust them on both sides with breadcrumbs, if using. In a heavy skillet, heat the oil over medium heat until shimmering and fragrant. Fry the cakes for 3 to 4 minutes on each side, until dark golden brown. Don’t try to flip them too soon, as they will stick to the pan unless a nice crust has formed on the bottom. They only need to be flipped once. Garnish the warm burgers with a dollop of sauce and some extra dill. Serve with lemon wedges. Canned tuna may be substituted for the salmon. Low-FODMAP breadcrumbs may be substituted for the oatmeal. For a gluten-free salmon cake, purchase gluten-free oats and use gluten-free breadcrumbs or Panko for the optional crumb coating. Garlic-infused oil may be omitted if you don’t have any on hand. Tomato paste sold in toothpaste-like tubes is becoming more widely available. This form of packaging makes it easy to use just a small amount, as in this recipe, keeping the rest fresh for another time. The sauce portion of the recipe doubles easily if you like extra sauce on your fish cakes. 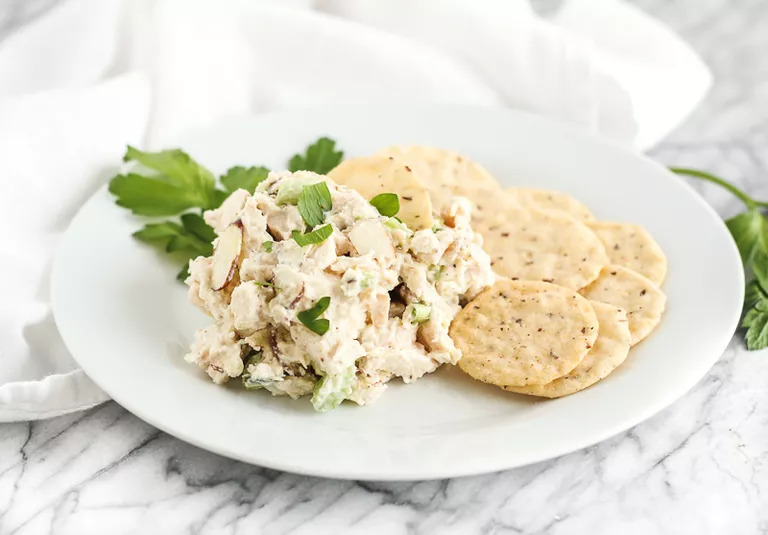 Chicken salad is one of those foods that can boast a health halo, but in reality, it’s often loaded with saturated fat and sodium thanks to a generous amount of mayonnaise and sodium-based preservatives—especially if you’re getting it premade at the deli. Making your own chicken salad at home, with chicken breast, is not only a much healthier option, but it will save you time and money. This Greek yogurt almond chicken salad is a great starting point if you’ve never made chicken salad before. It’s made with just a few simple ingredients and takes very little time to prepare. The dressing is made with plain nonfat Greek yogurt, Dijon mustard, and black pepper for a creamy, protein-packed sauce with less fat and sodium than the traditional mayonnaise base. Heat oven to 350F. Season chicken with pepper and place in a baking dish. Cover with foil and bake 30-45 minutes or until chicken reaches an internal temperature of 165F. Remove from oven and let cool. Chop chicken into small pieces and add to a large bowl with celery, onion, and almonds. Add yogurt, mustard, and pepper to taste. Stir to combine. Add any diced vegetables or fruit that you like, such as red onion or apple. You can also add dried fruit, like cranberries. Feel free to substitute the almonds for any other nut or seed, such as walnuts or pepitas. This recipe is great to make ahead for a week of healthy lunches. Make your chicken salad even faster (and save money) by using leftover chicken. Serve chicken salad in a whole wheat wrap, lettuce wrap, on whole grain bread, or with whole grain crackers. 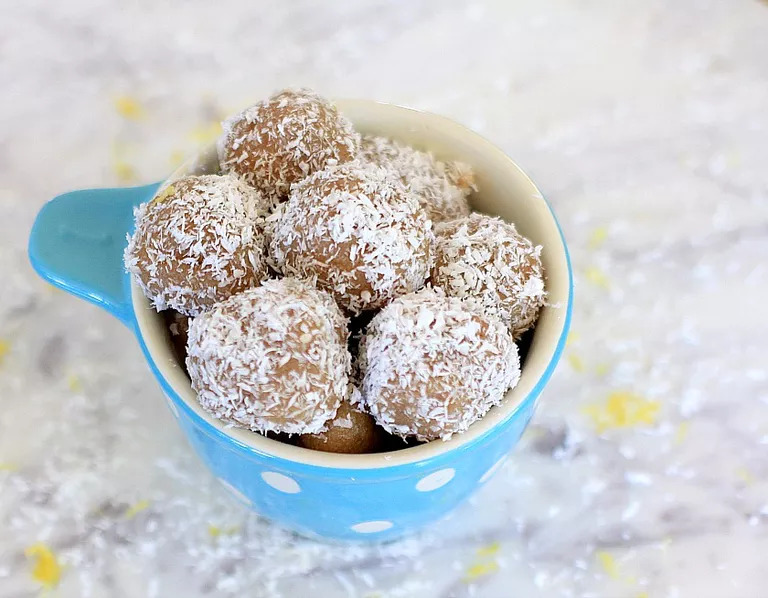 Word of warning: these cinnamon lemon coconut bliss balls are ever so slightly addictive. But that’s alright because each one has just under 100 calories and only 3 grams of sugar, so you can use your own best judgment on when to indulge. Want to know the key to keeping the sugar so low? The unusual but delicious pairing of cinnamon and lemon zest. If you love lemon and cinnamon and you’ve never tried this combo before, you’ll be hooked! 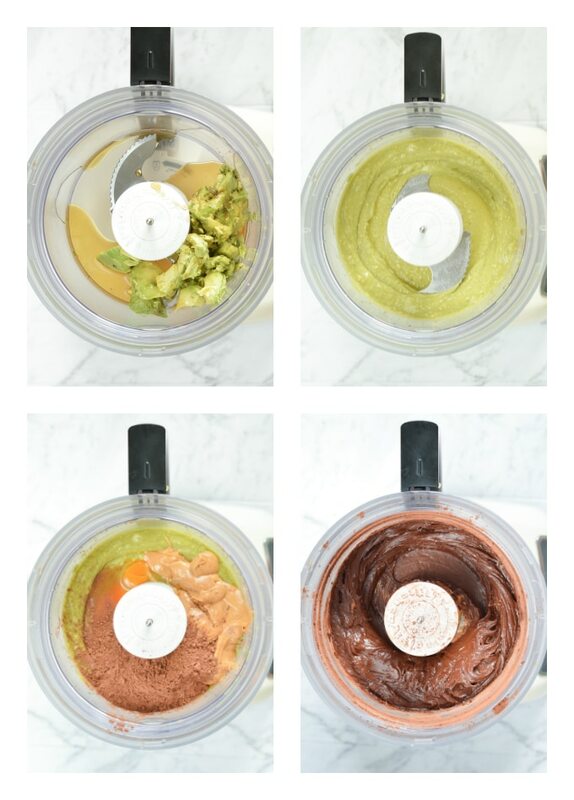 Combine almond flour, maple syrup, almond oil, lemon zest, cinnamon, and salt in a food processor bowl. Process until mixture is well combined and slightly sticky. 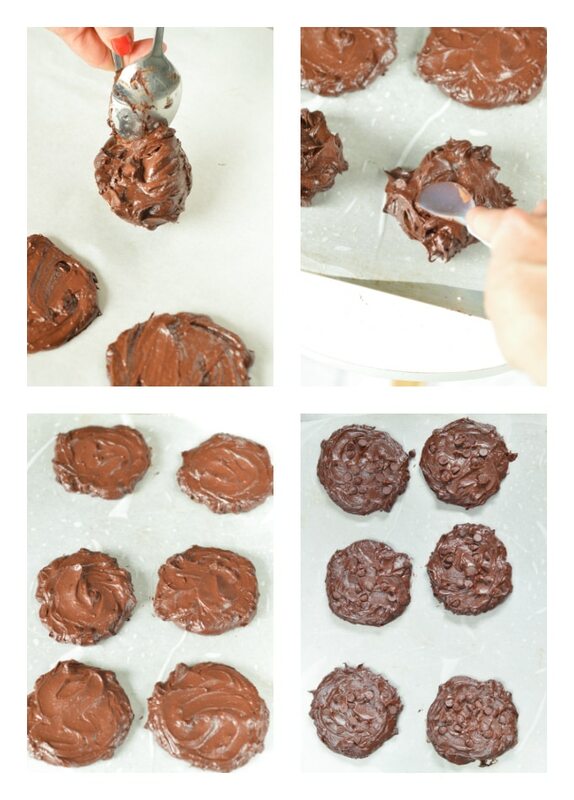 Line a large plate or small baking sheet with plastic wrap and divide dough into 20 pieces. Roll each piece into a ball. 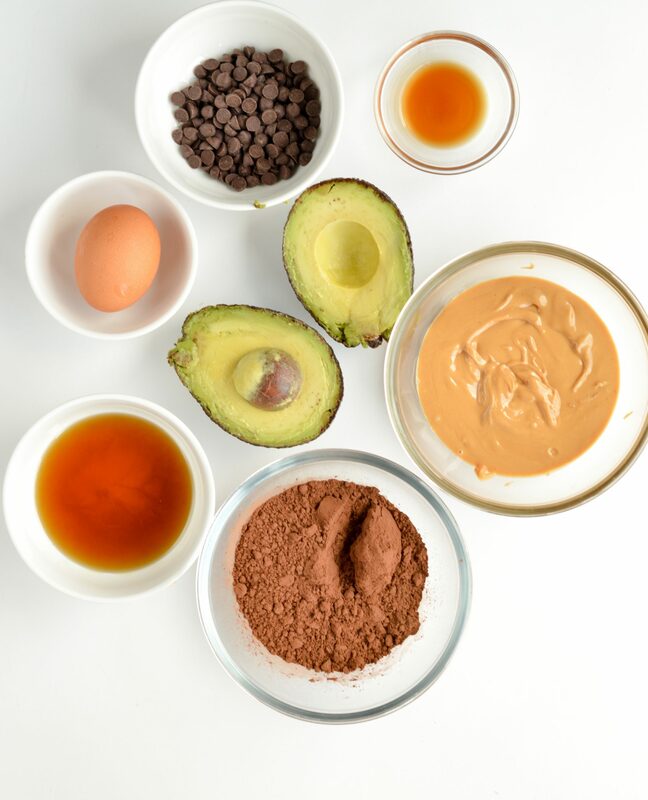 You may substitute the almond oil for any neutral tasting vegetable oil or liquid coconut oil. Feel free to add additional lemon zest and coconut if desired. Start with recommended amounts, then add more as needed. 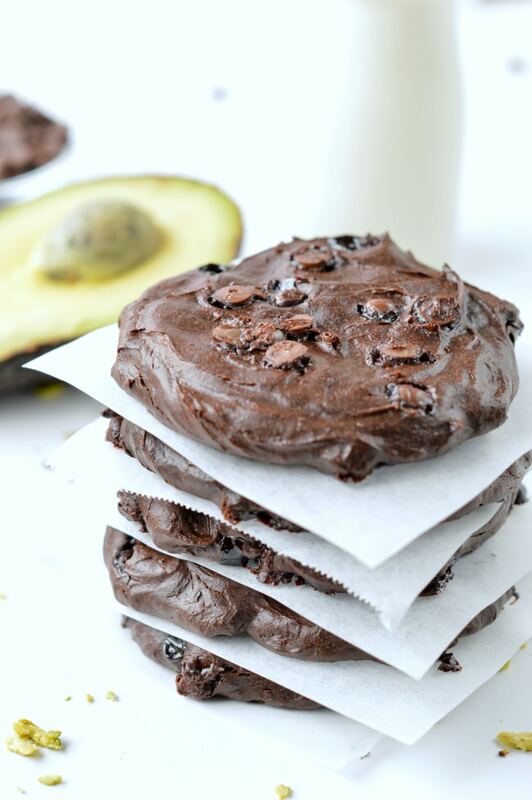 You can make a big batch of these and store them in a well-sealed container in the freezer. Enjoy them frozen, or thaw them out a little in the refrigerator before serving. These bliss balls are perfect for dessert or an afternoon treat with a cup of tea. We all know that we should include more raw food in our daily diet such as fresh fruits and vegetables. But some foods, even some vegetables, can be toxic in their undercooked state. Cookie dough. We’ve all been guilty of licking the bowl, but the Centers for Disease Control and Prevention issued a formal warning titled “Say No to Raw Dough!” urging folks NOT to yield to temptation and indulge. Raw dough contains flour and often eggs, both products that can harbor harmful germs and bacteria in their uncooked states. Potatoes. This vegetable, like eggplant, contains solanine. Green potatoes are particularly high in solanine and can be toxic even when cooked, according to Prevention. When you bake potatoes in a casserole or stew, make sure they are thoroughly cooked. Sprouts. Adding bean sprouts to salads is a great way to jazz up the meal, but uncooked sprouts can contain harmful bacteria, such as salmonella and E. Coli. Steak tartare. As delicious as this gourmet dish of raw ground beef mixed with eggs dish appears, that’s how dangerous it can be. The Academy of Nutrition and Dietetics says on its website, Eatright.org, that we should never consume rare or even medium rare meat because in the grinding process, harmful bacteria on the surface gets ground into the meat. Ground meat needs to cooked to an internal temperate of 160 F.
Raw milk. Drinking raw milk has become trendy as many people believe it can cure many diseases, but Collingwood warns it’s a health hazard. “Drinking unpasteurized milk can be dangerous because of the bacteria it can contain,” she says. Raw asparagus. This is another vegetable that should be cooked even though it’s not toxic, according to Alternative Daily. 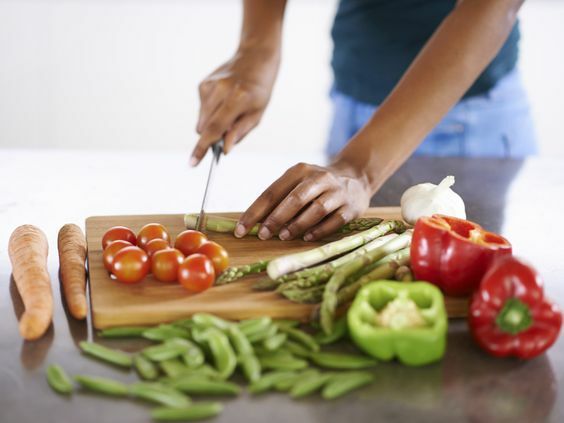 Cooking enhances the cancer-fighting antioxidants in this vegetable and increased the absorption of vital nutrients like vitamins A, B, C, E, and K. Cooking will also help break down the fiber making it more easily digestible. “While you may have eaten raw cookie dough or steak tartare without incident in the past, all it takes is one time that you willnews get sick and it can be potentially deadly, especially for someone with a compromised immune system,” says Collingwood. Coconut shrimp is a fan favorite finger food—it is crispy, slightly sweet, and of course, features delicious shrimp! But restaurant and party versions of this appetizer can often be over sweet and therefore loaded with sugar. In this sugar-free version of coconut shrimp, the sweetener in the coating is optional, so you can add a bit to mimic the popular restaurant versions’ sweetness if you desire. These sugar-free coconut shrimp can be served as an appetizer, party food, or main course. Mix coconut flour with seasonings in a shallow bowl. Whisk the eggs with a fork in a small dish, and mix with the 2 tablespoons water. Add sweetener if desired. Put shredded coconut in a separate dish. Pour oil into a large skillet to about 3/4 inch depth. Heat to 350 to 360 F, or until the end of a wooden spoon handle dipped into the oil collects bubbles around it. Holding shrimp by the tail, roll in the seasoned coconut flour and shake to get most of it off—you just want a thin coating. Then dip in egg mixture, again shaking off the excess. Finally, roll in coconut. 6Place shrimp in the oil and fry until golden, about 2 minutes per side. Don’t crowd the pan, which will lower the temperature of the oil—this makes them absorb more oil and end up heavy and greasy. Tongs are the best tool for turning and removing the shrimp. Remove shrimp from the oil to a paper towel or cooling rack. To thaw shrimp, place frozen shrimp in a colander and place under cold running water for several minutes until shrimp are no longer icy and stiff. Place between paper towels to absorb the water. 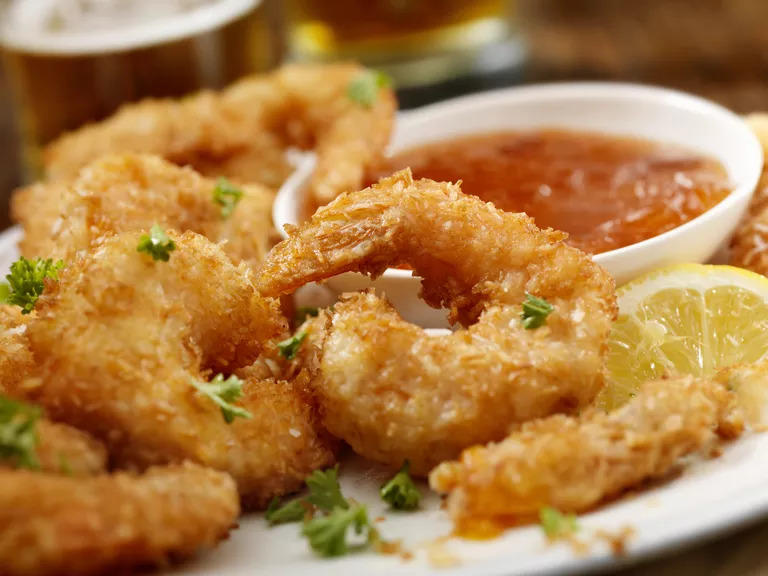 When frying the shrimp, you can put each in the oil as you bread them, but you will have to watch the shrimp you put in the skillet first closely to make sure they’re not getting overcooked (and don’t forget to flip!). An alternative method is to bread a few shrimp at once and then put them all in the pan at the same time (as long as they fit without being too crowded). Keep in mind that the calorie count listed here can vary since the amount of oil used by each cook can differ depending on the pan size. It is also difficult to get a precise number since the frying temperature will affect the amount of oil absorbed. In addition, the exact amount of coconut breading per shrimp will vary. Researchers at Loma Linda University in California have found that adults in the state whose diets are poor are more likely to have poor mental health regardless of their gender, age, education, marital status or income level than those with healthy diets. The team reported that increased consumption of sugar was associated with bipolar disorder and that fried foods, or those that contain a lot of sugar and processed grains, were linked with depression. To reach these conclusions the researchers reviewed data from more than 240,000 telephone surveys conducted with California residents over a 10-year period. The team found that nearly 17 percent of adults were likely to suffer from mental illness – 13.2 percent with “moderate psychological distress and 3.7 percent with severe psychological distress. Those whose diets were poor (they ate more French fries, fast food, soda and sugar) were more likely to be among those with mental illness than people whose diets were deemed healthy Study leader Jim E. Banta, Ph.D., M.P.H., said the results are similar to those from earlier studies conducted in other countries that found links between mental illness and unhealthy diets. While the new findings don’t prove that unhealthy diets contribute to mental illness, Dr. Banta said evidence seems to be pointing in that direction. May take? These findings are disheartening but not surprising. The evidence from previous investigations conducted in Europe that Dr. Banta referred to suggests that the trans-fats and saturated fats in some junk foods increase the risk of depression. 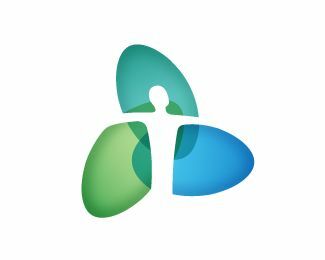 In 2010 researchers from Spain who followed the diet and lifestyle of more than 12,000 men and women for 6 years reported that at the outset, none of the participants had been diagnosed with depression, but at the study’s end, 657 were found to be depressed. They noted that the risk of depression increased among participants who consumed junk foods. 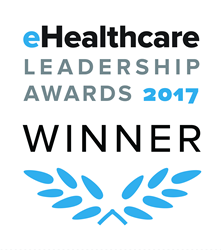 In 2009, British researchers reported that among nearly 3,500 midlife men and women participating in a 5-year study those whose diets were high in processed meat, chocolates, sweet desserts, fried foods, refined cereals and high-fat dairy products were 58 percent more likely to be depressed that those whose diets were composed mainly of fruit, vegetables and fish.Contact us and we can get you started on the right track. Set the pressure cooker to ‘Sautee’ and add ½ tablespoon of the onion-infused oil. Cook the bacon in the oil then remove it and set aside. Next, add the leeks and the remaining onion-infused olive oil to the pot and sauté until soft. Add the Arborio rice and cook for 1-2 minutes or until the rice is translucent. Then add the wine, stirring until the rice has absorbed it. Add the stock and stir to combine. Close the lid for the pressure cooker and set to pressure cook (my pressure cooker has a Risotto function, if yours doesn’t, set to pressure cook for seven minutes). When finished, turn the pressure cooker to the ‘Keep Warm’ function. Stir through the bacon, zucchini and lemon zest and let the risotto sit for 3-5 minutes until the zucchini has softened. To serve, add salt and pepper to taste, drizzle with a small amount of the garlic-infused olive oil (amount depending on taste but be careful, it is potent) and top with a crumble of the feta cheese. Preheat the oven to 180 degrees. In a frypan add ½ tablespoon of the onion-infused oil. Cook the bacon in the oil then remove it and set aside. Next, add the leeks and the remaining onion-infused olive oil and saute until soft. Add the Arborio rice and cook for 1-2 minutes or until the rice is translucent. Add the wine, stirring until the rice has absorbed it. Transfer the rice mixture to a casserole dish and add the stock, stirring to combine. Place the lid on your baking dish (or cover with aluminium foil) and place in the oven. Cook for 20 minutes then add the bacon, zest and grated zucchini, stirring to mix it through the risotto mixture. Continue to cook for another 10 minutes or until the rice is cooked through and all of the stock has been absorbed by the rice. When finished, add salt and pepper, drizzle with a small amount of the garlic-infused olive oil (amount depending on taste but be careful, it is potent) and give the rice a stir to combine all of the ingredients. Top with a crumbling of feta cheese. Set your stove-top to a medium-high heat. In a deep-dish frypan add ½ tablespoon of the onion-infused oil. Cook the bacon in the oil then remove it and set aside. Next, add the leeks and the remaining onion-infused olive oil and saute until soft. Add the arborio rice and cook for 1-2 minutes or until the rice becomes translucent. Stir in the wine and continue to cook until the rice has absorbed the liquid. Reduce the heat to low-medium and add a small amount of the stock (about ½ a cup), stirring until it has been absorbed by the rice. Repeat this step until all of the stock has been used and the rice is cooked through. Stir through the bacon, grated zucchini and zest. Continue to cook for a few minutes until the zucchini softens then transfer the risotto to your serving dish. Add salt and pepper to taste, drizzle with the garlic-infused olive oil and top with a crumbling of feta cheese. Enjoy!